If you have a class of twelve people (particularly youth or adults), you may easily find that there are a dozen different understandings of what the Bible is and what any given passage means. How can that be possible? The Bible is, well, the Bible! It is what it is; everyone knows that! Well… yes and no. The Bible is the authentic, inerrant word of God, complete and true in every respect, "dictated" by God to human writers, and unchangeable. The Bible means what it says. The Bible is full of varieties of literary forms—poetry, fable, parable, history, prophecy, exposition—and this form determines how literally, or not, the Scripture can be interpreted. The Bible means what it means. The Bible is God's instruction book to humankind. What is not expressly prohibited is permitted, and the spirit of the law is what matters most. The Bible is God's instruction book to humankind. What is not expressly permitted is prohibited, and its instructions must be followed to the letter. These four contradictory statements are different doctrines of Scripture, and there are many more. People of good faith hold these ideas or others about what the Bible is, and these ideas—these doctrines of Scripture—determine how we use and interpret the Bible. It is only a small leap to the recognition that your doctrine of Scripture not only influences how and what you believe, but also influences what and how you teach. We don't even have to spell out what our doctrine is (if we even realize it); it comes through implicitly in the way we teach and explain our lessons. If you hold to statement 1 and can't imagine the Bible in any other way, you may struggle with a student who holds just as strongly to statement 2 (or she may struggle with you). When we teach children, our doctrine of Scripture is particularly important because children will receive it the way we teach it. Of course, if the first/second grade teacher believes doctrine 4, the third/fourth grade teacher holds doctrine 1, the fifth/sixth grade teacher holds doctrine 2, and so on, the children may be confused and frustrated by the time they get to high school. As adults, we have encountered a variety of perspectives. The diversity of perspectives comes not only from various relationships and church experiences, but often changes from pastor to pastor. We recognize that, in general, different denominations may lean toward a particular set of doctrinal understandings. Our churches are made up of people with a wide range of denominational and doctrinal beliefs, even within the small group of "cradle Methodists." Many members have little understanding of the denomination's doctrine1, and much of it may have been taught and learned unconsciously or unintentionally. What we encourage is not that everyone must adhere to an identical doctrine with every other person, but that we are mindful of what we do believe and are sensitive to the differences among our class members. Are you conscious of your own doctrine of Scripture? Can you state it clearly? Have the teachers, as a group, thought about what doctrines of Scripture are acceptable? Have they approached how to communicate that? What have your students or group members revealed about their approach to the Bible? What have you revealed about yours? Have there been marked differences of opinion about what some biblical passages mean? Could differing doctrines of Scripture be the key? How have you handled differences of biblical doctrine in your class discussions? Have you welcomed it? Dismissed it? "Corrected" it? 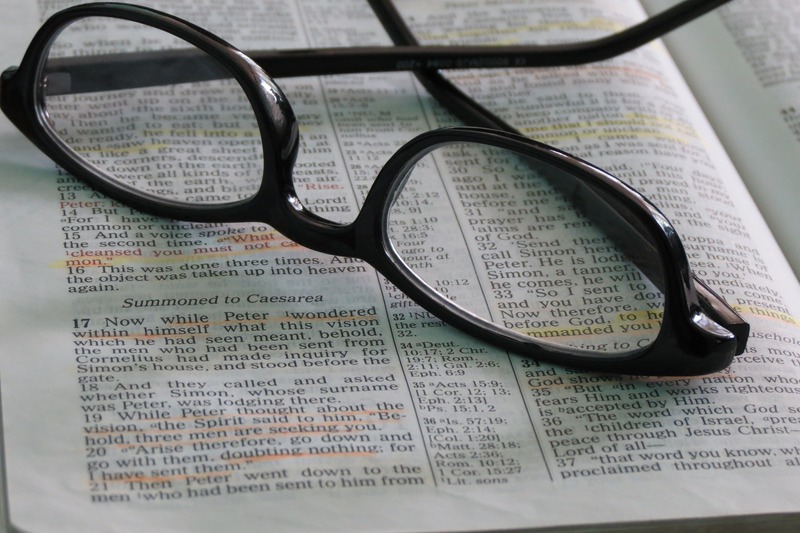 What might you do differently to accommodate and explore the different biblical nuances that surface through a variety of approaches to the Bible? This article was first published in August 2010 as part of the iTeach series. It was updated by the Rev. Scott Hughes in September 2017.